I often use the term “fake video” to describe what some podcasters make. It's when they take the whole audio of their episode, put it into a video file, and display a simple image (static or sometimes moving). It's essentially audio with pixel dimensions. I think the short, animated videos commonly called “audiograms” are entirely separate and beneficial. My following thoughts address the “fake video” approach. To make your content discoverable on Google and YouTube—Maybe true, at first, but it will soon be demoted. It's easy and maybe even automated with publishing tools—Simply because something is easy doesn't mean it's good. It reaches a non-podcast audience—True, but it's reaching them so ineffectively, you might not see any positive results. “It can't hurt”—Actually, it can hurt, as you'll understand from the following points. YouTube is a video platform. It's designed for videos. When people search or browse YouTube, they expect to watch videos. Posting fake video goes against the simple premise of video. If someone writes a long blog post, takes a screenshot, and shares that image on Instagram, we would consider that abusing the platform. If someone makes a blank image and uploads to Instagram only so they can write a long blog post, we would consider that abusing the platform. If someone releases a series of silent podcast episodes only so they can put out the titles in podcast apps, we would consider that abusing the platform. And if someone publishes only audio, but no video, on a video-based platform, we should also consider that abusing the platform. This is not an effective technique for sharing content appropriate to the platform. This is more like a blackhat hack with a bait and switch. If you publish fake video, or you see other fake videos, you may initially think it's a success because of the view counts. But like “downloads per time,” view counts don't tell the whole story and are a meaningless stat. Social networks count something as a “view” after different amounts of time. YouTube seems to have a 30-second threshold. So someone could watch a video for only 30 seconds, and it would be counted as a view. But if your video is as short as a few minutes or much longer, only 30 seconds is meaningless to actual consumption. Think of it as a local store. The way YouTube and other social networks work, they would count you as a customer every time you drive by and look at the store. But were you really a customer if you didn't at least go inside? Contrast that with the nature of podcast downloads and consumption. This is more like counting everyone who entered the store. True, maybe not everyone stays in for long or even buys anything at all, but they were still a customer by entering and behaving like a customer. I've seen data on some fake videos that seemed highly successful: as many as nearly 23,000 views on one video! But the real truth is in the retention stats. Only a 3.4% average view duration. 90% of the initially 23,000 viewers were gone within 90 seconds! All data I've seen, from multiple sources, show that most fake videos lose 90–95% of the audience within only 90 seconds! Interestingly, this does seem to differ among countries. But that makes sense, considering that podcast consumption is not as popular or possible in some other countries. You might think that later videos, which averaged about 200 views, had filtered down to loyal fake-video consumers. Retention rates were, indeed, better. This time, it took only about 4 minutes for 85–90% of the “loyal” audience to abandon the videos! Retention stats on a later video with 175 views. The resulting audience who did stay to consume the majority of the video ended up being only 6–8% of the view count. Thus, only about 16 people benefitted from the video. That's 16 out of an initial audience of nearly 23,000! If you dismiss the meaningless view counts, you must measure other forms of engagement: retention, likes, comments, subscriptions, clickthroughs, and shares are common metrics on YouTube. A video with nearly 23,000 views received only 35 likes, 24 comments, 2 shares, 18 subscribers, and 19 dislikes. Fake videos show horrible engagement in all these metrics. I've seen videos with more than 20,000 “views” receive only a few likes, subscriptions, and no comments. This shouldn't be surprising when you consider that almost all the audience is gone within a few minutes. But even of the small number of remaining viewers, they still don't engage with the fake video. Comment, like, and dislike engagement rates are almost nonexistent compared to the supposed view counts. The top reason I hear people advocate for fake videos is that they make the content show up in search rankings. That may be true at first, but it doesn't last. Furthermore, the consequences can prevent future videos from ever ranking. Fake videos perform notoriously low on all these metrics. Consequently, Google's algorithms will consider the video a waste and demote it in the rankings. After all, if almost everyone else doesn't like it, why would they recommend it to others? Could you imagine my recommending a doctor by saying, “No one ever sees him, and he's not a very good doctor anyway”? Google wants people to stay on YouTube. It's easy to waste hours and hours on YouTube because it was designed with exactly the scientifically proven tactics to get you to stay! Even when I was preparing this episode, I got sucked into watching video after video (real videos!). YouTube won't like it when you make people leave YouTube, either by closing the browser tab or by following a link that takes them away from YouTube. 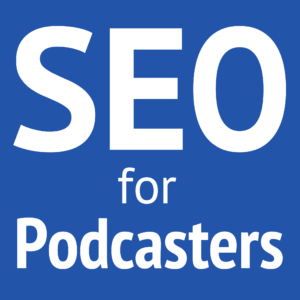 Such links might be to your website or your podcast in a podcast app. They'll either demote your video or sometimes even find other ways you might be violating their community guidelines. I've seen many legitimate videos get flagged by Content ID, such as a movie-review podcast that comments on and plays a portion of the movie or soundtrack. You can dispute a Content ID claim, but failing that could lead to even bigger consequences. 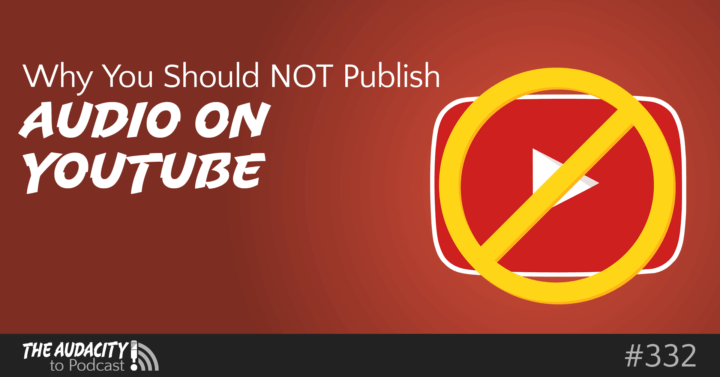 In extreme cases, your videos could give your channel a copyright strike. This usually means the video will be removed and you'll carry a strike on your account, which might limit features (such as monetization or live-streaming). Further abuses will usually result in a complete closure of your account. YouTube is a monetized platform. They don't really like it when you monetize your own content without letting them have a piece of it. Podcast sponsorships, promoting your own products, and affiliate links can be in this gray area. YouTube has already cracked down on this kind of monetization when a product or logo is displayed as a paid advertisement. Regardless of how you monetize your own podcast, YouTube can decide to ban it from YouTube at any time if they decide it's not in compliance with their standards. Most fake videos look the same. Usually, that's simply the cover art. Sometimes, it contains “buttons” or calls to action. When YouTube sees multiple videos being uploaded regularly and they all look the same, their algorithms have often flagged this as spam. But I'm not surprised because it really does look like spam! It's not okay to post large amounts of untargeted, unwanted, or repetitive content in videos, comments, private messages, or other places on the site. If the main purpose of your content is to drive people off of YouTube and onto another site, it will likely violate our spam policies. It's not okay to post large amounts of repetitive and/or re-uploaded videos to your channel. If the main purpose of your channel is to monetize other channels' content, it will likely violate our spam policies. If you believe your copyright-protected work was posted on YouTube without authorization, you may submit a copyright infringement notification. I've seen this with some experimental channels. With each fake video released, the view counts and retention get worse and worse. Then, the ranking starts to fall because of all the other metrics. So if you ever want to do a real video on your video channel, publishing fake videos will have demoted your channel so much that your real video may never receive attention. There are better ways to use YouTube with podcasting (episode 186). You can live-stream, make video promos, make specialized video content, make short snippet animations or videos, and more. If you really don't care about the YouTube platform and don't care much about its users, then go ahead and publish fake videos. But keep in mind the potential consequences, costs, and extremely low return on your investment (time, skill, or money). Covert Nerd, from the USA and host of Covert Nerd podcast, wrote in Apple Podcasts, “… Because of you I have stepped out and started a hobby podcast. Right now it isn't that good, but because of you I got the courage to at least start. I am sure many others have done the same thing because of your work. 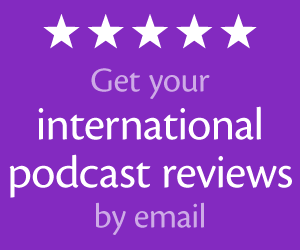 I would encourage other like you do to just start your podcast and you can work out the details as you go. …” Read the full review. My question is what about all the people that ‘listen’ on YouTube? My hubby is all about YouTube. If it’s not on YouTube it does not exist. He loves videos but he’s equally into ‘listening’ on YouTube. He listens to music and ‘talk’ – he has YouTube on while working on the computer or hanging out like I would listen on my iPhone to my own things. Also, my Mom listens to my podcast on Facebook. (I know this is about YouTube) but it’s how she listens. I have taught her how to subscribe and listen other ways, but that’s where she is and when she sees the post on the Page she listens. I know that my hubby and my Mom are not the only ones with this behavior. I’m always about the listener. Yes, platforms have their ideas as to what they want people to DO with their content but listeners have their own ways of doing things and often disrupt the original idea. For me, this is information bothers me less from the omgosh I’ll lose money and my channel’s ranking will go to crap, but more about dictating how to consume to people and the current listeners or potential listeners that we won’t get because we can get to them. I want to bring more awareness to making our content accessible to all in the way that best works for THEM. It’s the first step to grow podcasting. Once they are in, then adjustments can be made. Media consumption habits are hard to break. And this sort of situation where once again as a producer we are told we need to do this *this way* and no other way (because a lot of us don’t have the mental or physical bandwidth to create an actual video) is unfortunate. I think this is a case of knowing what YouTube wants. I made my podcasts audio on YouTube for the reasons you described, but I can also relate to the dropping view count as well as thumbs down on my videos. I know people use YouTube for listening, but we can’t willingly go against the platform owners wishes. I wish it were different, but it sadly is not. Music consumption and listening to videos are really different from spoken-word content with a static image. I think the reason music consumption is so high on YouTube is because that’s often the only free (albeit often still copyright-violating) way to listen to some songs. What really surprised me in my research is Google’s own policy, which I quoted under #10. If the content seems repetitive or encourages leaving YouTube, then Google will consider it spam. Wow! The points you brought up on TAP 332 were very insightful. I am going to stop posting my audio podcasts to YouTube. It actually is going to speed up my workflow each week. As I won’t have to be concerned with getting the YouTube version ready. Daniel – Need to ask – where are you getting this information: Google and YouTube? As it relates to SEO and internet footprint, my cohorts and mastermind groups have found your objections to be not so hard and fast. I have pretty good success with interview podcasts and then turning them into written blogs and YouTube slideshow videos with graphics. Over time, 25% of my videos rank on page one of Google and stay there. (There is a way to get 50% and keep them there – but I don’t go down that expense route.) In Google, folks will call off the snippet and not watch the video – if there is a strong call to action. Views and watch time are not as important a ranking factor with Google – albeit there are ways to get that and be natural. What’s more, Google lets me do back linking with YT videos that I would never try with a website. Written blogs and videos are a good way to repurpose interview podcasts and expand my client’s internet footprint. Also, the videos are a great way to add quality website backlinks and directory citations. The key is optimizing the videos – title, tags (keywords) and description. Of course, blogs need to be optimized are a good source of new, good quality website content that Google loves. However I provide this service at a low price point and I make a living. I feed out 10 to 20 videos a week and have so for 8 years. While there is some truth to your objections, I haven’t found them to be a big issue. There are work arounds. It sounds like the kinds of videos you’re creating are not fully fake videos, but slideshow videos. So your results will be different. I hear your points and they are solid. To me, it’s not so black and white. One – for podcasters who don’t have a solid video channel (like you!) getting coverage on YT is a plus – see yogeek’s comment for starters. I also don’t know that we have anything definitive from YT about whether this is “abusing” the platform. That wording seems harsh to me. If anyone has a link re: the official YT position, I’d love to hear it. I did a quick Google search, “does youtube care about audio-only videos.” I got tips for how to actually make audio-only! A LifeHacker post on how to turn YT into the ultimate audio streaming service. A Chrome plugin that lets you disable the video. And lots of podcasts who append the episode title with “(Audio Only) which seems like a great tip for communicating with your channel subscribers. In thinking about all the music that is on YT (especially older songs, before music videos) there is actually a fair amount of audio-only content. As long as it’s clearly labeled, I see it more as an adjunct to a channel than a “fake” video. Audio podcasts on YouTube and music on YouTube are significantly different types of media. So it’s not fair to connect them with each other. I think the big point is #10, where it seems quite clear that YouTube is saying videos that look the same or are designed to lead people offsite will be considered spam. Using the same cover art, I agree, is not a best practice idea and could be confusing. But with a custom thumbnail, the (audio only) in the title, it seems like a win for the podcaster – both in discovery and feeding their followers content that is not otherwise available. That section you mention, seems to me, to focus as much or more on people who are posting other people’s media and trying to monetize it. Plus, I laughed out loud at the trying to direct people away from YT. That would exclude all kinds of quality content producers! One type of podcast I’ve seen, and I even had success with, is when you upload a video with webcam views. I don’t do this anymore currently, as it’s a lot of work, and I like having a polished version of a podcast. I think if there is something visual to go along with the audio, then it is more engaging for the audience. Use the medium to its potential. Some of the videos I watch on YouTube ARE pretty much audio only, but there is video spliced together. If a video has a podcast version, I’ll move to that one. This is my personal viewing habit though. So, I’ve actually started doing the reverse-taking audio-compatible content (stuff that works even if you can’t see it) from my channel and periodically spawning off a podcast episode. A decent chunk of my content is audio-focused, so the transition usually works well. 1. I interview musicians decently often and can’t afford to fly to NYC, LA, or wherever they happen to be, so Skype is really the only option. I did try videotaping myself while conducting an interview once, but the feedback didn’t seem to indicate it offered all that much value above audio-only. Also, I’ve recently branched into more long form discussions (sometimes over an hour), and that much video takes up a lot of space. 2. Many of my interviews are recorded in the field (usually a tournament or convention), and thus a constrained by event schedules, lighting, and sound conditions. Setting up a video recording at an event takes considerably more time than an audio recording. As much as I would like to do a true video for every field interview, the circumstances don’t necessarily allow for it. With those hurdles in mind, I have tried a few things recently to improve retention on audio content. I started putting the audio through a program that creates a visualization over a background image-I don’t have enough data to see what kind of impact that makes, but I’m certainly more engaged when editing them. I’ve also made an effort to include scans, photos, trivia, and other overlays whenever possible. Thanks for this excellent episode. The data speaks loudly. Well, he’d have to share a reciprocal screenshot of 15 videos so we can see the drop off rate. One batch of data is meaningless unless there is more to compare it to. I have a limited sampling of my own videos but it is evident that video content has longer watch times than my audio only podcasts. While I may be too small to really matter in Youtube’s eyes, my takeaway is that I can be using Youtube more effectively. 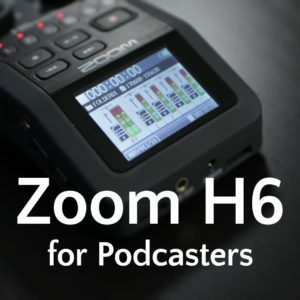 For me that means replacing full podcast episodes with audiograms, perhaps adding video of me promoting or providing behind-the-scenes for podcast episodes, and coming up with a separate Youtube video content strategy. Oh – I misunderstood your comment. I thought you were referring to the screenshot in the post. I also love audiograms. My main point is that context matters. Fewer “views” might still represent listens. I really disagree with you, Daniel. First I want to make clear that I have never posted a podcast on YouTube, nor do I know anyone who has, so I’m not defending myself or anyone else. I just take exception to the premise of the episode. What is YouTube’s mission? “Our mission is to give everyone a voice and show them the world,” says YouTube on its website. Note that “everyone” is the ones with the voice, and “them” in “show them” refers back to “everyone”, i.e. it’s everyone who should be shown the world, not everyone should show the world (but everyone should be given a voice). So I can still post an audio file on my channel and be shown the world on someone else’s channel, and I’m not abusing the platform. YouTube further says, “We believe that everyone deserves to have a voice, and that the world is a better place when we listen, share and build community through our stories.” Seems to me that posting audio fits right in with that belief. This defeats the argument that YouTube is only for video (“voice” can be defined the same way as “speech” is defined by the Supreme Court and not be limited to actual speaking). Also, I think the term “fake video” is incorrect here. It ought to refer to a video that shows something that is not true (like a doctored video, for example), similar to how “fake news” refers to deliberate misinformation with intent to damage. If someone posted a one minute video to YouTube showing a single, static photo the whole time and VO explaining something about the photo, could that person not rightfully say “I posted a video on YouTube explaining the photo”? Next, and possibly my biggest beef with the episode, I really object to your focus on whether posting your podcast on YouTube helps you (with things like driving subscribers or generating impressive stats, getting engagement). The first question should be “Does this help others?” Forget the stats! Forget trying to drive someone away from YouTube to subscribe or to go to your website! Forget discovery of your podcast! Focus on delivering value, always. The rest will come if you deliver value. We live in an increasingly platform-neutral world where the same content is consumed across many different devices, and the medium is no longer the message. So if you don’t try to drive people away from YouTube you are not violating its TOS. If you change the cover for each episode posted you are not posting repetitive content violating and therefore not violating that part of the TOS. If you don’t use copyrighted soundbites (which most podcasts don’t), you are not getting flagged. If I never post anything besides the podcasts, I’m no crying wolf. YouTube is the world’s second biggest search engine. Why not upload and risk making a difference to someone searching for information or entertainment? If they don’t like the audio-only format, no worries. Maybe the next person will, and you can make a difference in that person’s life. Thanks for all the work you put into this post, Daniel. As you can see below, I disagree with much of it. However! This gave me (and many others) a chance to examine the topic in depth and learn from the discussion. Have to disagree with this. I do this exact thing of putting up podcast audio with a single image and the best part is having links in the description which has got me email subscribers and clients. I’ve had people reaching out saying they only found my site and podcast because of YouTube. YouTube is just a search engine and is number 2 behind google so I’ve been finding it more likely to be found because of it. There are people now that put up audio commentary over only a few images that are getting into the hundreds of thousands of subscribers and a huge niche on YouTube are lyric videos which is just audio over a few changing images. A lot of the podcasts I listen to are on Youtube as long style shows can be broken down into shorter chunks on individual videos. Even if this is all short term it’s still a huge win for people like us as ultimately YouTube is really transforming as advertisers are starting to stray away and corporate videos are taking over. True YouTubers like Bethany Mota or Colleen Ballinger have said they find that it’s harder and harder for them to be discovered and viewed as what’s promoted are things like Jimmy Kimmel or the Tonight Show etc. These are the real content creators that have been there since the start of YouTube and are being pushed to the side and moving more into real life platforms. Daniel – love this post – quite informative, and from the comments already here, quite a hot topic as well. My question is this: What about doing a Joe Rogan style video “podcast”? It’s obviously not fake video as it shows Joe and his guests sitting around a table and discussing stuff. Not much in the way of “video” content, but it’s not just a static image. I know Cliff and other podcasters used to do a live video (don’t know if he or anyone else still does) broadcast and was just wondering your thoughts on that. I wondered the same for Podcasters’ Roundtable. Not much is gained from watching the video version versus just listening to the audio track. Great podcast but not a great video. Hmmm you bring up some good points. But I have picked up listeners to the show from YouTube. So after listening to the Feed, I think we are going to create a new channel on YouTube. You can have as many YouTube Channels as you like under the one Gmail account. So we will create an audio only Channel and get Libsyn to publish the audio movies to that feed. Our other videos, non audio only will get sent to our main channel. If the Audio Only channel doesn’t rank well, then this should affect our other channel? Hello kiwimana! It looks like you are maintaining your Audio only YT channel. How is this working out for you? Do you have any suggestions or comments about starting an Audio only channel on YT? We have podcast listeners who like to use YouTube to listen to episodes and would like to accommodate them. I understand both sides of this, and think you have a good solution if it doesn’t ruffle YT feathers. Thank you. Yes its a small Audience. Our biggest views was 1.5k, but that was a interview with a well known Beekeeper. But even that show had an average watch time of only 10 mins. I would said on average we get 50 watches per show on YouTube. It’s pretty much automatic with Libsyn, all I do post publish is fix up the Mini Show notes and add the tags from the wordpress blog. We are happy to use it as a method of gaining new listeners, but I have also found some people watch/listen only on youtube. Thank you so much, Gary! We are pretty much doing it out of convenience for our podcast listeners. So as not to be deceitful to others we are adding (Audio only) after the title. Loved listening to your promo piece. Didn’t realize New Zealand had a problem with too many bees making honey!! 🙂 Good that you can provide information to those who make hay with it! This is a very interesting discussion. I can understand the concerns that Daniel brings up. I am a moderate consumer of YouTube videos and I find myself clicking off videos with still images. I guess I expect to see the person speaking when I am on YouTube. I am planning to use a different approach. My podcast is about books so my new YouTube channel will follow the model used by Book Tubers with me on camera talking about books I have read and my podcast will focus on interviews with authors and provide long form content via audio. My podcast and YouTube channel will have the same name and I will post both to my website. My channel has over 10,000 subscribers (growing around 500+ new subs each month) and earns a four figure income every month. As a matter of fact the YouTube channel has helped me turn podcasting into a full time job (Previously worked at Apple in an iOS AHA role). What it really comes down to is whether you are providing a good enough content that the argument of a still image vs video becomes irrelevant. I have to disagree with you. A lot of people are now starting to go to YouTube for audio. For instance, NASA and related channels have published days worth of raw Mission Control audio loops, so we can listen to Apollo 13’s flight as it happened from the perspective of the Flight Director and engineers in Mission Control. Those videos have a lot of views and comments. Those audio files exist elsewhere on the internet, but it’s so much easier to just look them up in YouTube. YouTube is becoming more of a centralized archive for media. I’ve listened to podcasts on YouTube before, especially when I couldn’t access the audio files in the podcast feed for some reason. It’s just so easy to find stuff on YouTube – easier than podcast apps. For Millennials – people my age – we’re very YouTube savvy and are more likely to be open to a podcast on that platform. I don’t really care, and don’t view them as fake videos. I get that it’s just audio. I’ll give you the point that YT is a video platform, and will always be dominated by video content. It’s not my first choice listening to a podcast – I’d rather do that in a podcast app. But I think it’s more of a viable alternative than you present. Especially if you’re just doing a podcast as a hobby and don’t care about monetization, YouTube is just another way to share your content with people who would never go find your podcast by traditional means. Also, if you have the production means, some podcasters shoot video of them in studio, which is better than just listening to the audio. The Jenna+Julien Podcast is a great example. Much rather watch them than just listen. But they have a high production value and are entertaining. If you’re going to post crappy video, then just don’t. Remember that view counts are meaningless. Someone could view for only 31 seconds and it would count. I get what you’re saying old bean! I’m 50/50 on this audio youtube malarky! And..of course, Alan W is a legend! If a show is available only on YouTube (and thus not subscribable with a podcast app), it’s not a podcast.